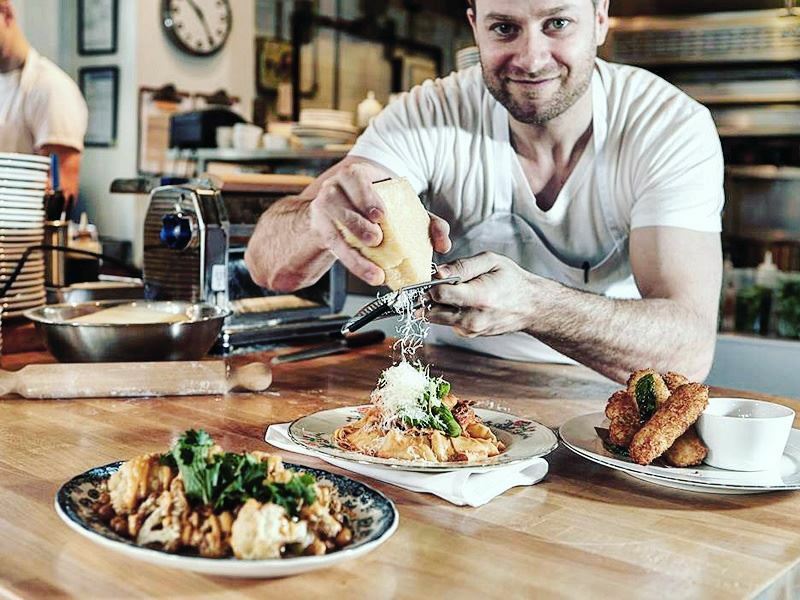 Canada's epic West Coast city of Vancouver is shaking things up for restaurant-goers with new cooking concepts, adventurous menus, and exciting flavours. 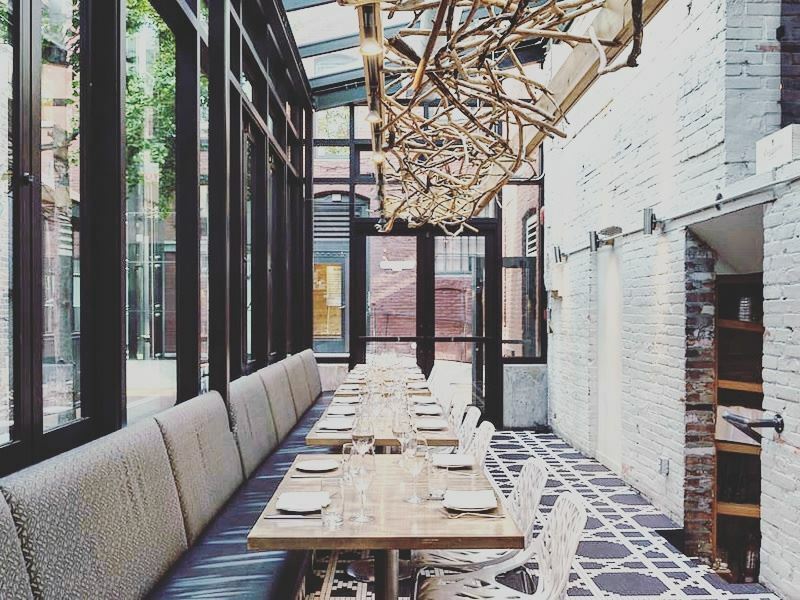 We check out the 10 best dining spots in British Columbia’s down-to-earth metropolis; from the fine-dining big guns to the enthusiastic newbies. Where: At 1829 Robson Street, near the corner of Denman and Robson Street. The scene: This cosy wood-clad eatery has generated a huge buzz for West End gastrophiles for its bang-on-fantastic food that puts a new spin on the stuff mamma used to make. Expect Instagram-worthy Italian dishes at value-conscious prices; from ridiculously good house-made pastas and succulent cuts of meat, to family-style big plates designed for sharing. There’s also a sit-down antipasto bar, long 16-seater communal table, heated patio for al fresco dining, and decent wine list for Italian and hard-to-get B.C. offerings. Signature dish: Keen foodies will enjoy the mozzarella or burrata (with either sea salt or prosciutto), salamis, eggs with anchovies, and antipasto platters. Also worth ordering is the gnocchi with brown sage butter and hazelnuts, campanelle with mushrooms, prosciutto and lemon, and the signature Tuscan-style brick chicken with garlic juice. Where: At 70-200 Granville Street, along the Burrard Inlet next to Canada Place. 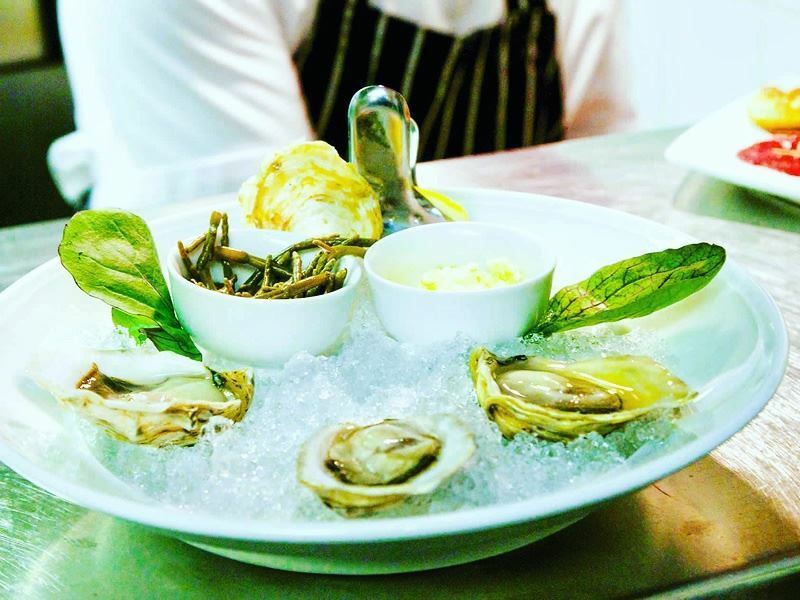 The scene: For views that are as impressive as the splurge-worthy Western-Japanese cuisine, this waterfront gem beloved of off-duty chefs and gourmet-lovers raises the bar for seafood eats. With a sleek-as-you like décor scheme that’s minimal but inviting, there’s a bar and lounge area, outdoor patio, private dining room, and full service sushi bar. But what's put this place on the map is the trademark flame-seared Aburi-style sushi - a lightly-cooked version of the classic raw fish staple that’s currently a huge trend in Japan. Signature dish: The medley of seafood dishes infused with unconventional fusion sauces are all tempting, but it’s mostly about the sushi - especially the elaborate platters paired with fine wines and sake. Start with the Aburi Sushi Sampler before trying the Miku Signature Selection that comes with the chef’s selection of Aburi and traditional nigiri, oshi, and speciality rolls. Where: At 1118 Denman Street, in Vancouver’s West End. The scene: A feel-good vibe is assured at this no-bookings-allowed tapas bar that’s seen new highs for the authenticity and quality of the city’s Spanish food. 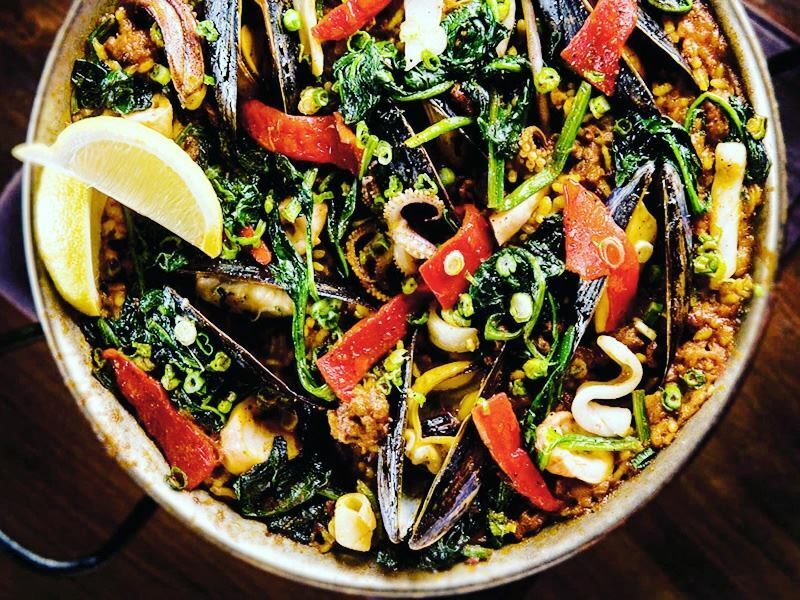 Complete with a highly-creative (and changeable) menu that’s always progressive, every small Spanish plate is a deemed a winner by its fiercely loyal fan base. Best of all, it’s not one of those crazy-loud and frenetic places where you’re rushed out after an hour, so you’ll have time to stick around for the delicious desserts and signature craft cocktails. Signature dish: At a restaurant that flies the flag for tapas, nothing else really gets a look in. The choice is outstanding, but it doesn’t get better than the crispy chickpeas, marinated white anchovies on toast, shaved ox tongue with warm potato salad, and lamb merguez sausage with Turkish chopped salad. Try to save room for the crème caramel or churros with hot chocolate. Where: At 2183 West 4th Avenue, in the north-east corner of 4th and Yew Street. The scene: The farm-to-table concept may have seemed groundbreaking in 1985 when chef John Bishop opened his namesake restaurant, but it’s still the pièce de résistance at this headline-grabbing spot along the West Side’s hippest food corridor. That, and the bright and bold contemporary artworks from the owner’s personal collection. This loft-like haven may not be cheap, but the extraordinary cuisine that showcases the best of British Columbia's seafood, meats and organic produce is worth draining your wallet for. 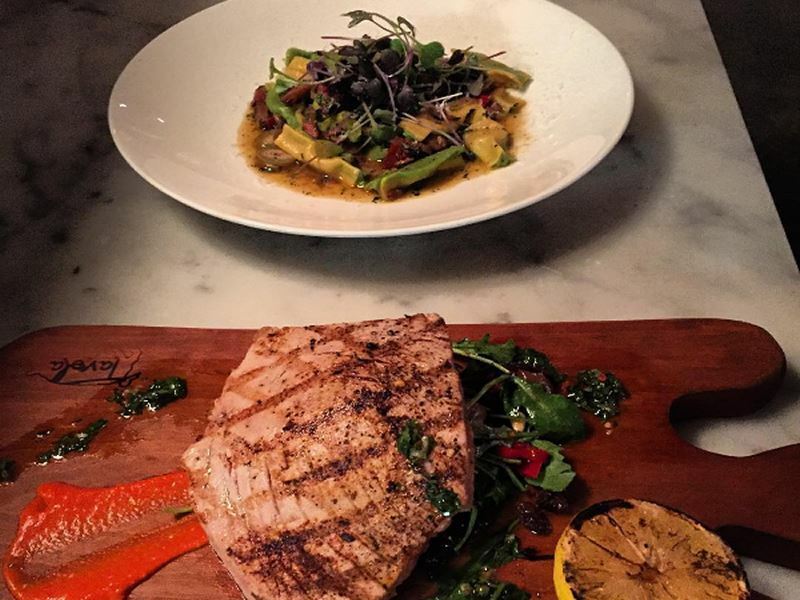 Signature dish: Expect uncomplicated entrées and mains on menus that change weekly. Feast on grilled asparagus salad with sidestripe prawns, Cape Scott halibut with confit egg yolk, and blue goose organic beef striploin that comes with potato pave, morel mushrooms and braised alliums. A must-try dessert is the rhubarb and rosemary panna cotta with brown sugar crumble. Where: At 1600 Howe Street, along the Seabreeze Walk overlooking False Creek. 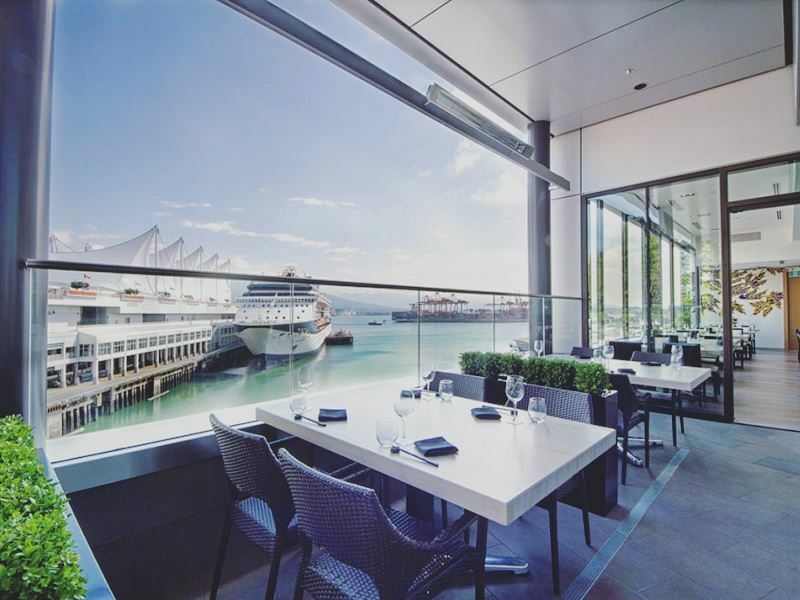 The scene: For impossibly good Japanese-Peruvian fusion and a menu that hinges on Ocean Wise seafood, this chic-looking space has recently been spruced up with aquamarine accents, light woods, crystal chandeliers, and mezzanine-level windows that maximise the seawall views. Equally noteworthy are the super-courteous staff and the exclusive feel to the place that hits you on arrival, which is probably what appeals most to the city’s fashionistas, high-rollers and hipsters who frequent it. And the food, of course. Signature dish: After working your way through the ceviche, sashimi and rolls at the raw food bar, order the Nova Scotia lobster risotto with nameki mushrooms, carrots, English peas, queso fresco, preserved lemon and tarragon as your starter. For mains, try the aji panca glazed sablefish with yam and oregano pave, or the Haida Gwaii halibut with "forbidden" rice paella. Where: At 217 Carrall Street in Gastown, between Gaoler’s Mews and Blood Alley. The scene: It’s all West Coast-inspired French cuisine at this raved-about downtown Vancouver bistro built on the very site of the city’s first jail. Housed in a refurbished 19th-century brick and beam building that’s kitted out with glass and steel finishes, there’s a bar and lounge, elevated dining room, lovely atrium, and thankfully no carcasses hanging from the ceiling. And while you don’t have to be a carnivorous foodie to enjoy the hearty entrées it certainly helps, as these are definitely the most tantalising. 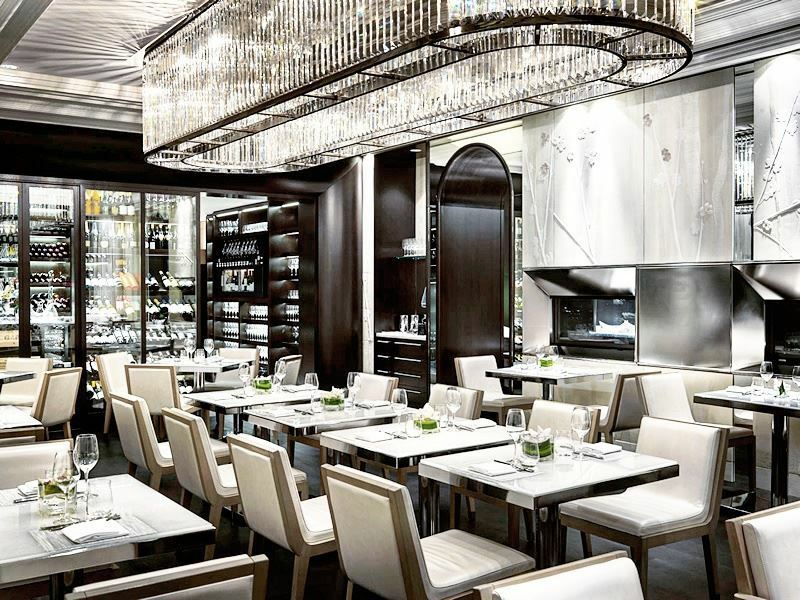 Signature dish: Try the veal tartare with peppercorn, smoked yolk and black mustard, or order foie gras torchon served with warm brioche, fresh yogurt and cherries. From the mains menu, try the grilled heritage pork loin with salsa verde, corn grits and Swiss chard, or the duck breast roasted on the bone with rhubarb, treviso and whipped foie gras. Where: At 801 West Georgia Street, within the Rosewood Hotel Georgia. 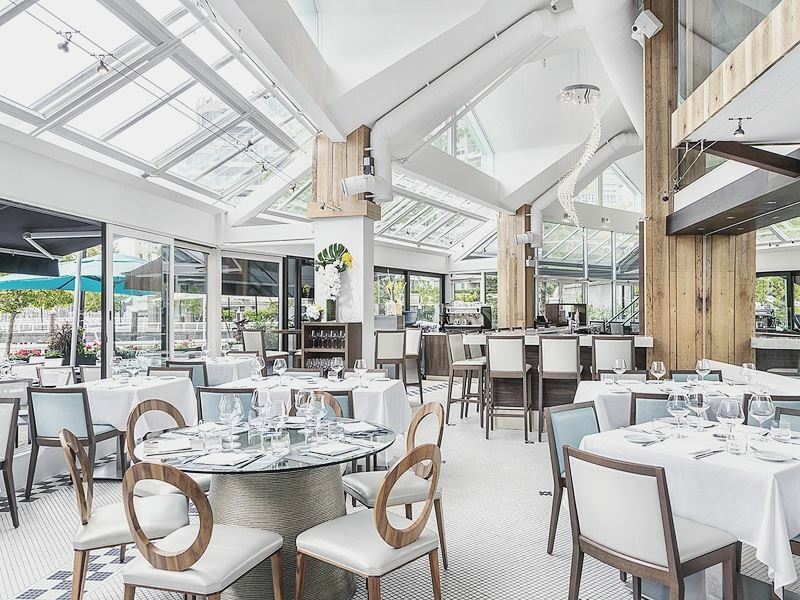 The scene: The vision of culinary wizard David Hawksworth (formerly at Michelin-starred Le Manoir aux Quat'Saisons and L’Escargot), this statement-making spot for farm-to-table contemporary Canadian cuisine has scooped the Vancouver Magazine’s Best Upscale Restaurant award five times. Diners can choose from four distinct rooms, all of which overlook the Vancouver Art Gallery: the leather-panelled Bar & Lounge, ultra-glamorous Art Deco Pearl Room, relaxed and casual Art Room, and 1920’s-inspired York Room. Signature dish: The chef's six-course tasting menu with wine pairings could possibly end up being your most memorable. Other standout dishes include the umami glazed heirloom carrot salad with liquorice, cumin yogurt and piave, Hawksworth beef burger with applewood smoked bacon, aged cheddar and frites, and lamb loin with smoked cauliflower, potato and pearl onion. Where: At 305 Alexander Street in Railtown. The scene: Owned by executive chef Jean-Christophe Poirier, this casual little pasta joint raises the bar for its carb-heavy Italian basis and made-in-house pasta. While there’s nothing flash or fancy about the wood-panelled dining room, crowds are drawn here for the laid-back vibe, deep wine list, and generous plates that are designed for sharing. Everything is made fresh daily, and gluten-free and vegetation options are available. And in case you’re wondering, no one who works there is called Luigi. But feel free to ask for him. 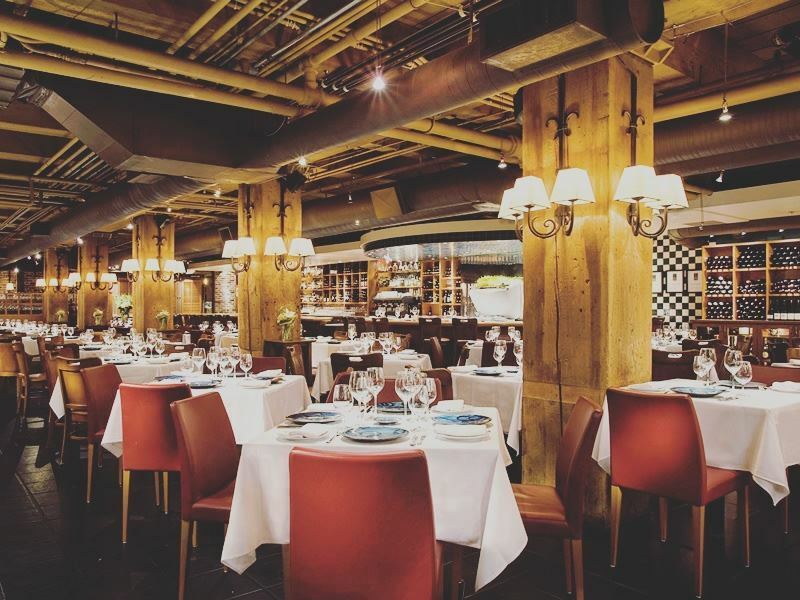 Signature dish: Mainstays include Luigi’s meatballs and the famous crispy polenta, escargot and watercress. Don’t miss out on the fried pig’s tail and giardiniera, spaghetti nero with clam and octopus ragu, and smoked mackerel with celery and egg. For dessert, try the panna cotta or olive oil cake. There’s also beer, white or red wine, and prosecco on tap. Where: At 1260 Commercial Drive, in the neighbourhood known as The Drive. The scene: It’s all about simplicity and flavoursome French food at this charming little bistro run by Vancouver-born Cory Pearson and his wife Julianna. The menu is clear-cut: three starters, three mains and three desserts - all of which can be ordered individually or as a prix fixe option. And the concept seems to work, since this little gem is one of The Drive’s go-to places for an affordable meal. Best of all, décor is kept to a minimum; expect a dark wood bar, open (and tiny) kitchen, and dining room with tables that are spaced a pleasant distance apart. Signature dish: The menu changes frequently and is posted daily on the website by 1pm. Sample dishes include goat cheese terrine with beet summer salad or tuna marinated with lemon and horseradish (starters), and seared scallops with sautéed spinach or duck leg confit and port sauce with corn purée (mains). 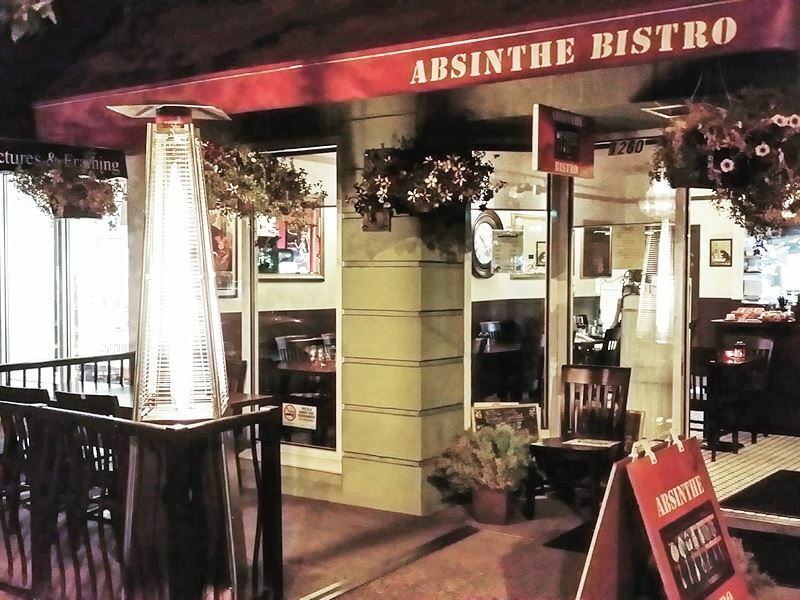 There’s also a decent wine list and, of course, absinthe. Where: 1095 Hamilton Street in Yaletown. The scene: Vancouver’s best (and swankiest) seafood restaurant is housed in a good-looking redbrick and beamed heritage warehouse conversion with an ‘East meets West’ kitchen and semi-circular raw bar. 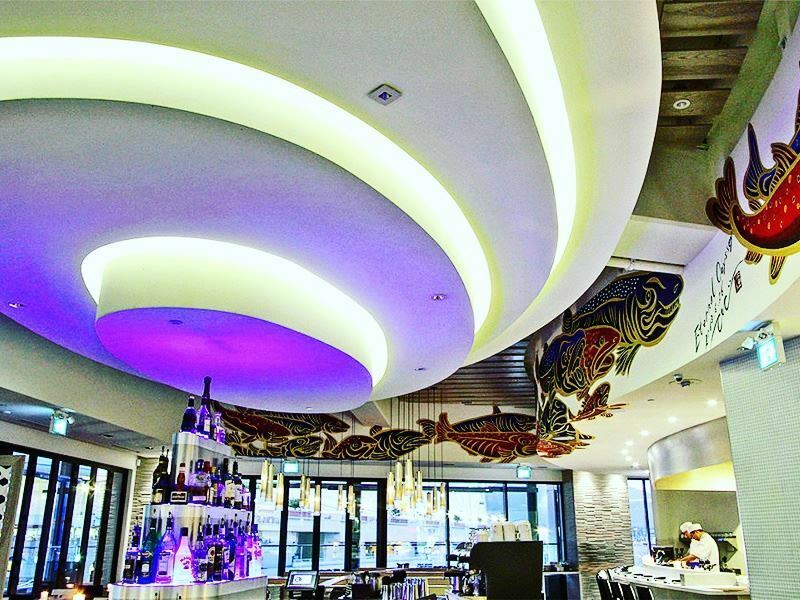 Diners can either play it safe by ordering the award-winning plates of sushi, or brave the Alaskan king crab, Dungeness crab, Atlantic lobster or spot prawn straight from the state-of-the-art live tanks. Either way, everything here pushes boundaries - especially the Unsung Heroes menu that features under-appreciated fish. Signature dish: The showstopper is the Blue Water Cafe Seafood Tower -a three-tiered extravaganza with clams, mussels, scallop ceviche, steamed spot prawns, three types of oysters in mignonette, marinated jellyfish, tuna, smoked salmon, lobster, and sushi rolls. You may need to pass on dessert, but if not the trio of sorbets is the most stomach-friendly choice.